I am a postdoctoral research fellow in the Chodera lab at the Memorial Sloan Kettering Cancer Center in New York City. I work on computational methods for the development of new medicines. Drug discovery is extremely costly and time-consuming, and my goal is to make this process cheaper and faster. My research is interdisciplinary, combining physics, biology, chemistry, and statistics. 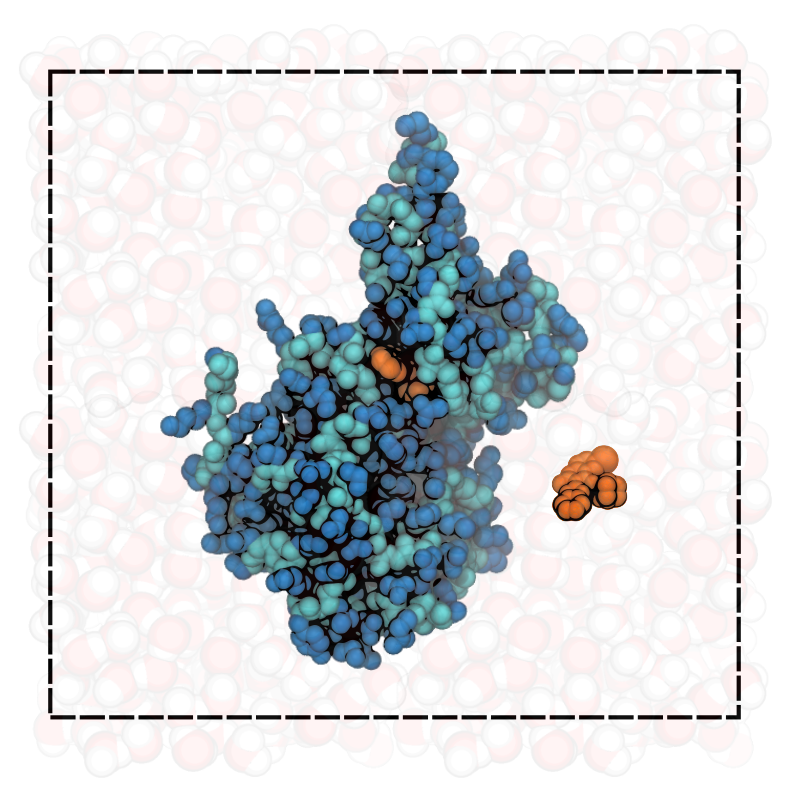 A schematic of a typical simulation: a protein immersed in water and small, organic molecules. Want to find out more about my research? Tell me about molecular simulations!